1975 - 1983 (E21) (1975 - 1983) The original 3 Series. Known for its unique body styling and racing heritage, the E21 3 Series is a light, nimble, tail happy sports sedan with classic late 70's lines offering a connection to the road that few newer cars can match. 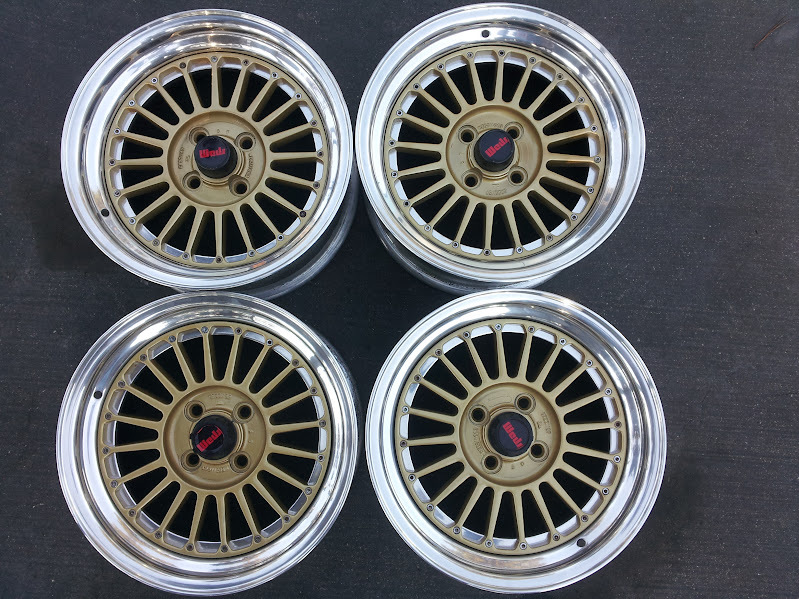 Set of 4 Weds Bavaria Wheels staggered 15x7 and 15x6.5. 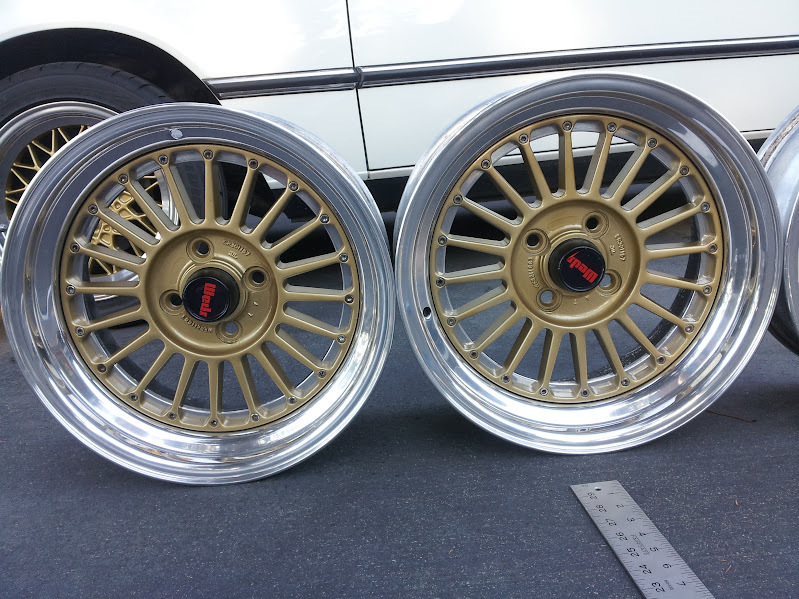 The offset of all wheels is about 15.875. I set one 15x6.5 on a scale and it weighed 13.6 lbs. More pics available if interested. 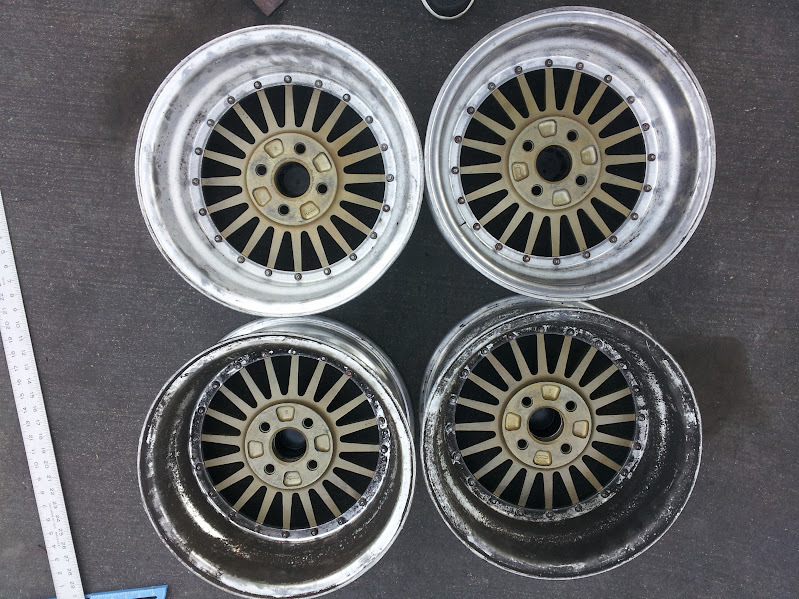 These are 2 piece wheels. They started life as a 3 piece but were welded together at the factory by Weds. The centers can be unbolted for refinishing etc. $1,000+ shipping. 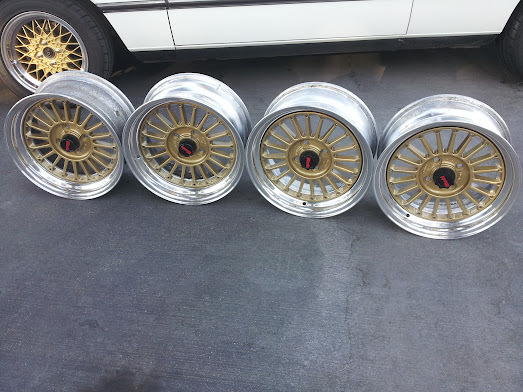 Local pickup preferred in 92084 but I can bring them to Socal Vintage if a deal is struck ahead of time. I just shipped a similar set to Ohio and it ran $100 fully insured. There are 2 spots that were repaired. I've taken a number of pics of the repaired area. The lip appears to have had some curb damage that was ground down and polished leaving a "dip" in the lip of one wheel. I have shot 3 angles of that area which is included in the web album for viewing. Second repaired area is at the back of one barrel and appears to be a bend that was hammered back into place. Looks ugly but appears straight. No cracks. The lips are polished and the rears could use a cleaning. The centers where recently repainted gold. The caps are a mix and the previous owner attempted to make "weds" stickers which look good in pics but are starting to peel. by my measurements the wheels measure 7.5in(190.5mm) to the outer edge.